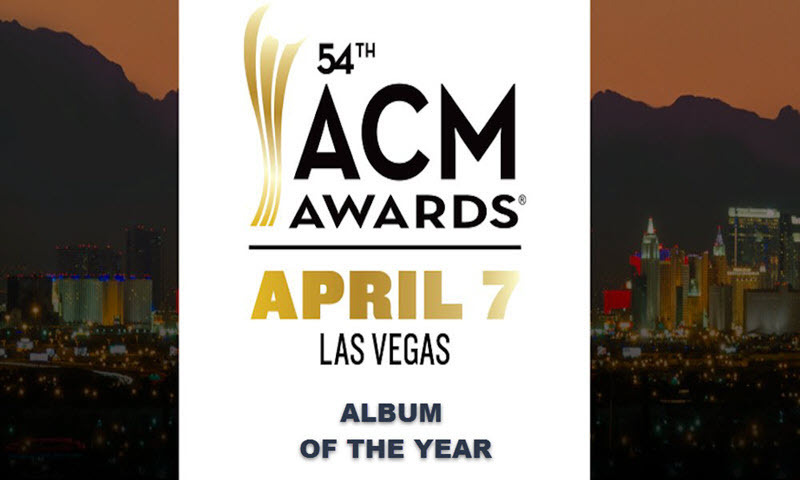 2019 Academy of Country Music Awards nominees for Album of the Year are Dan + Shay – Dan + Shay, Desperate Man – Eric Church, From A Room: Volume 2 – Chris Stapleton, Golden Hour – Kacey Musgraves, and The Mountain – Dierks Bentley. Here’s a look at each of the contenders. The winner will be announced at the ACM Awards live from Las Vegas on April 7, 2019. Dan + Shay are up for many categories at this year’s ACM Awards, but this one if probably one of, if not THE most notable nomination of the show. The duo put a every bit of heart and soul that they had into their self-titled album, producing singles like “Tequila” and “Keeping Score”, featuring none other than the legendary Kelly Clarkson. Each song on the album is unique and much different from most music they’ve put out leading up to this album, and for that reason, we wouldn’t be surprised if they took snagged the win here! “Hell On The Heart”, “Springsteen”, and now, “Desperate Man”. 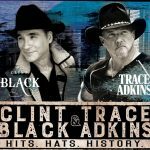 These are just some of the hit singles from his albums over the years, all very different in their own ways but undeniably belonging to the talented Eric Church. Eric is a North Carolina native, but moved to Nashville to follow his dream as an aspiring musician, shortly after college graduation and the end of his first engagement, with the help of his very supportive father. Just imagine: Had Church accepted the business proposal that broke off that life-altering engagement, we would never had any of the summer anthems he’s blessed us with over the years! 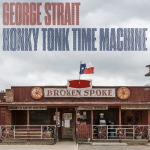 Are you a fan of Luke Bryan’s “Drink A Beer” or George Strait’s “Love’s Gonna Make It Alright”? Well, surprise! Chris Stapleton was instrumental in the creation of these hits and many others as a co-writer, along with the 3 incredible albums he’s produced of his own. The more you know, right? 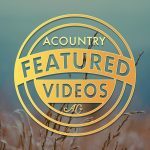 Along with being a loving husband and father of 4, Stapleton’s music career is becoming more and more successful with each heartfelt album that he blesses the world with, and we wouldn’t be surprised if he became as much of a household name as the artists that he uses as inspiration (i.e. Dwight Yoakam, Freddie King, and Keith Whitley). He’s a soul singer with ties to bluegrass, rock and roll, and the blues, and these influences shine through in each of his songs. With all this in mind, are we putting our money on him winning the award for this category? Possibly! With 6 Grammy awards, 4 CMA awards, and 1 ACM award under her belt, Kacey Musgraves is revolutionizing country music for all artists, fans, and women in general. 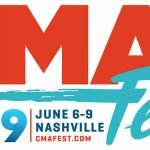 Each of her songs tells a story, often tackling controversial topics such as alcoholism, teenage parenthood, small-town stereotypes, and the pressures placed by society. At the young age of just 30 years old, Kacey has accomplished so much and earned so many accolades, including touring with the over-the-top-famous Harry Styles, who specializes in rock and pop music. This is not the first time Musgraves has been the only female nominated in a category, and we’re positive it won’t be the last. Nonetheless, we’re so proud of the heart and individualism Kacey pours into her craft, and we’re so happy to see it being recognized yet again! Dierks Bentley is known for many things, but coloring inside the lines (metaphorically speaking), is not one of them. Dierks takes pride in pushing musical boundaries and taking chances in music, creating everything from party anthems to heartbreak-healers and crossing over with the likes of Eric Paslay and Brothers Osborne. His father was a First Lieutenant in World War II, and his mother was devoted to raising her family. 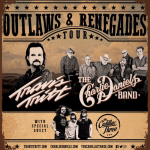 Dierks (real name: Frederick) was supported in the pursuit of his dreams by his loved ones, and got his foot in the door working at The Nashville Network (now known as Paramount Network) researching old footage of country music performances. 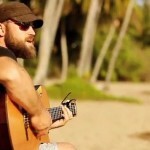 In 2003, he released his first, self-titled album, and the beloved single “What Was I Thinkin’” hit number 1 on the US Billboard Hot Country Songs that year. Ever since then, he’s been committed to only putting out the best of the best, and every nomination and victory has been well-deserved. 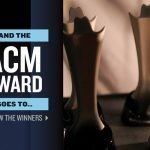 Check out the full list of 2019 ACM Awards nominees. 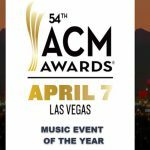 The ACM Awards will be broadcast live from MGM Grand Garden Arena in Las Vegas on Sunday, April 7 at 8:00 PM ET/PT on CBS. Who’s your pick to win Album of the Year?